Delhi is the capital of India and is known for the big-hearted people. But among other issues, it is also a metropolitan city and people struggle here to make their aspirations successful. 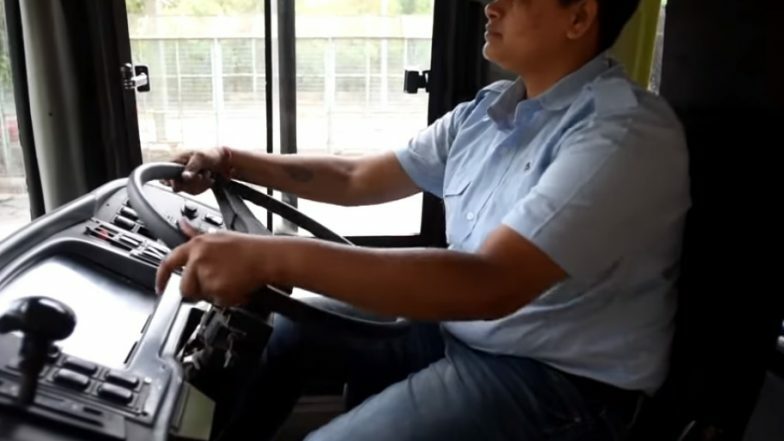 In the latest, a Telangana woman Venkadarth Saritha has succeeded finally to become the first one to be recruited as a woman bus driver in the Delhi Transport Corporation. The 30-year-old Venkadarth Saritha - hails from Telangana and the youngest of five daughters - had been working hard to get a ‘government job’ after her father died. Prior to getting employed in DTC, she drove auto-rickshaws and minibuses in Hyderabad. But with the financial condition still not improving, she took the training to drive taxis from Azad Foundation - an NGO based in Delhi. Black Hole’s First Pic: Grad Student Katie Bouman Made the Picture Possible! Watch Her First Reaction and Video. With her training got over, she applied for the bus driver post in DTC - which invited applications for women drivers. DTC received seven applications, of which five candidates showed up and after medical examination, Saritha was found fit to drive a bus. She was shortlisted for the training of 28 days and on Friday, Saritha received her licence to drive the DTC bus. Expressing her happiness, Saritha said, as Indian Express reports, "I am thankful to the DTC for giving me a chance. It is a big opportunity for me. A government job is a huge thing in my family." Even Delhi Transport Minister Gopal Rai expressed his happiness and congratulated on her success. He said that his government is planning to employ more women bus drivers to empower women. Saritha would be hitting Delhi roads on route number 615 from Monday.